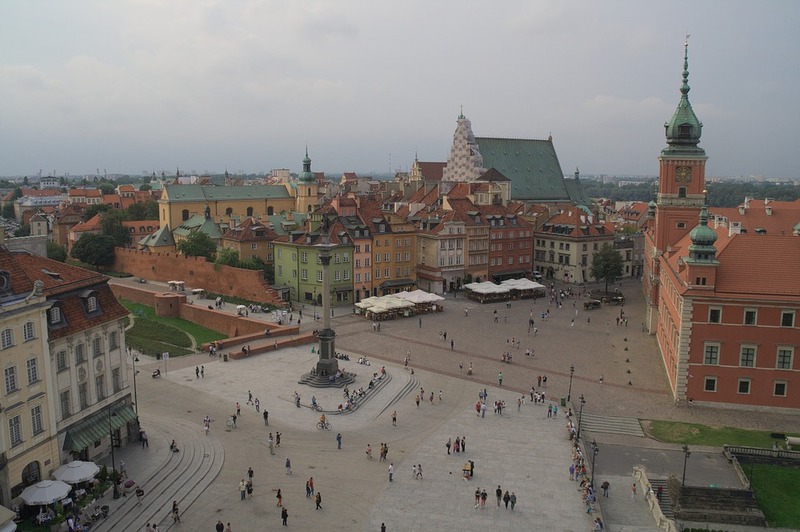 When planning a tour to Europe, Poland is one country on everyone’s list. With a pivotal role to play in the first World War, it has tremendous historic value to offer as well as beautiful castles and lush greens all over. Warsaw, the capital of Poland, is a metropolis bustling with life and splendor featuring more than 200 historic sites and landmarks with diverse architecture. To make the most out of your next trip, here are 7 sites and landmarks you must not miss. Giving off a prestigious vibe, this area features exquisite manors painted in elegant colors and built with finesse and such detail to design and architecture that it makes any visitor awe. With colorful buildings and quirky architecture that you can enjoy from one of the many coffee shops or just walk around taking it all in as you go along. Built by King Stanislaw August Poniatowski during the 18th century’s second half. It is a neoclassical palace that is surrounded by beautiful water bodies like ponds, canals, and breathtaking gardens. It served as the royal residence to the king and has the impeccable aesthetic detail to it that. It’s not sizable but it makes for an amazing sight as one walk through the palace will reveal to you just how elegantly beautiful it is. Market Squares hold significant cultural value to any community or city as it gives you firsthand insight into the lives of its members and occupants. The Old Town Market Square is clean, beautiful and very ambient as you will see street performers and kiosks of all kind making it a very immersive experience for you whenever in Warsaw. As mentioned before, Poland has a deep-rooted history with the first World War as they declared independence from Germany. One example of that history manifests in the form of the Jewish Cemetery that honors the Jews residing, pre or post World War. Warsaw Castle Square is located in Old Town. This open plaza was built in 1821 and features a column in the center. Castle Square is always busy and features so much life that one can easily get lost in it all because of the stunning sense of culture. It also features a beautiful church that is very much worth visiting. You can glance at the castle walls too and dine in at the various restaurants featured there. A monument erected in the honor of the soldiers and civilians with small vignettes that tell the story of the Warsaw Uprising of 1994. The figures have deemed to be very moving and this medium of storytelling is one that sinks in with the audience and goes a long way. It is a very large work of art that you can really explore both creatively and physically. The Old Town is buzzing with life and excellent views that you can’t help but take pictures of, with so many sights to see including Castle Square and the Old Town Observation Terrace giving you a spectacular view of the area. You can spot the stadium and the new city landmark from there as well as sweeping views of the Vistula river. A walk through the old town is a very compelling case with beautiful, cultural views of the city, basking in it right amongst its inhabitants.